This photo is a good example of what is growing now in the high valleys of the White Mountains: Malotira (Sideritis syriaca) is in the centre of the picture. 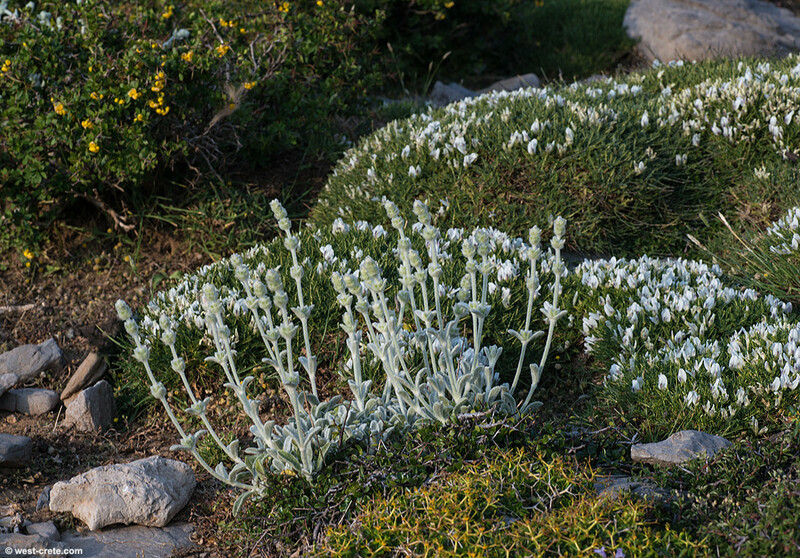 To its right the white flowers of Astragalus angustifolius, in the background Berberis cretica is flowering. In the foreground Euphorbia acanthothamnos is just visible at the bottom of the photo.